My word processor’s auto correct will highlight that one! And no, I did not misspell . It’s the name of a company that sells headphone amplifiers. 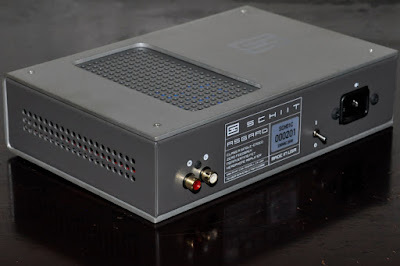 According to their website, Schiit was started by two veterans formerly of Sumo and Theta, both regarded names in the audio industry. They are proud of the fact that the products are “Made in USA”, with sensible pricing. 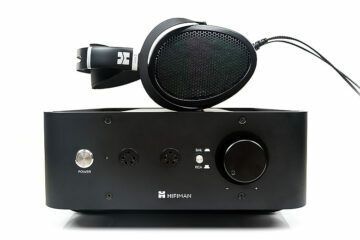 So there, the most important figure I’m looking for- headphone impedance up to 600 ohms. The search for an amplifier that can drive my AKG K240M+K701 pads, still continues. The packaging is sufficient, where the Asgard is protected from the usual bumps from transport by a molded foam. It is single boxed. It came with a decent power cord, with safety instructions. 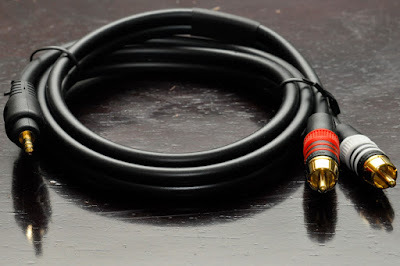 In addition, Schiit supplied a RCA-3.5mm interconnect, 3.5mm to 6.3mm adaptor, and four rubber bump-on (as feet). Finally, there is a manual that tells you what you need to know with real common sense, in four pages. For the MSRP of US$249, the supplied accessories are ordinary. In fact, the accessories’ look and quality is no better than those China- or Taiwan-made interconnects one can find at Ace Hardware or True Value. The Asgard and Valhalla shares the same two-piece C-shaped chassis. The finish is decent, but I hate the screws on the top and bottom. They’re an eye-sore and could have been designed in a way where the screws are at the sides. You better stick on the rubber feet to prevent the bottom screws from scratching your acrylic shelf, like what I have. The volume knob is also made of aluminum and has a nice feel. The power switch is of very good quality, if not for being small. It does the job done and has a solid feel. On the front, the ubiquitous knob controls the volume. A very light marker shows the minimum volume at 7 o’clock and at 5 o’clock for maximum volume. To its right is a 6.3mm female socket to feed your headphone. A boring pale, white LED turns on when power is applied to the unit. At the back, two decent female RCA sockets will take the input from your source. The power switch lets you turn on/off the amp. Finally, an IEC connector so you can plug in the supplied power cord, or your own. The unit will get real hot, in just a short period but is not cause for alarm. In fact, the manual will tell you like it is. With the AKG K240M, I need to crank up the volume to maximum to get a satisfying level of output into them. What the manual mentioned as “holy moly, my ears just exploded!” is certainly not realized, despite the claim of 20V peak to peak output. With the AKG K240S, the volume indicator sits at 12 o’clock for the same level of output. Refinement. That’s the first word that came to mind as I played the first track from a CD collection given to me by a friend. 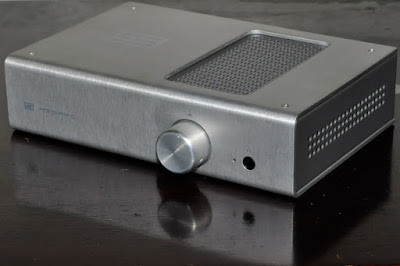 Is this the Schiit sound signature? Without an audition of the Valhalla, I would never know. But this is a good start. Having an amp that offers refinement and finesse is a good character for me. Relaxed. In most of the materials I played, the Asgard presented them in a relaxed, laid-back manner. This is good for some music, but not for some. In materials where I’m looking for more rhythm and pace, the Asgard won’t give it to me. This is a highly subjective area, some people like it, some don’t, as myself. 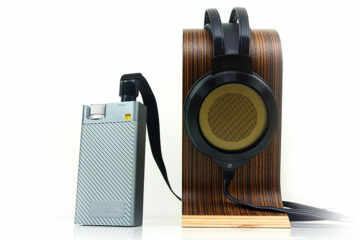 The Naim house sound of being lively, very dynamic and musical that I prefer, is something other people don’t like. Lacks energy. In many instances I’ve wanted more from the Asgard. The music I’m playing is full of energy and raw power, but the Asgard won’t give it to me that way. It sounds like you’re there, but you’re not. This is where the Naim NAHA will beat the Schiit out of the Asgard. 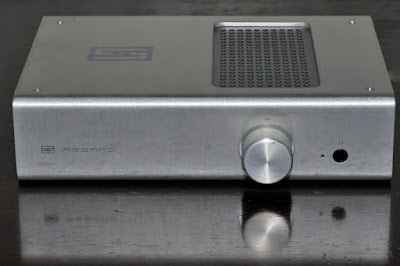 The Schiit Asgard did not disappoint, it just did not offer the characteristics I was looking for this time round. For others though this will appeal greatly. AMB γ1 (Gamma 1) DAC – Small but powerful! The Asgard definitely lacked energy and power, but made up for it with oodles of velvety smoothness and refinement. It’s an amp to get when you’re feeling chill and relaxed. I’m still a bit disappointed though at how little power it has, but the sound is very sweet. You can’t use it for hard to drive gear, though. I expect the lyr is the answer to this power issue which I am dying to try out sometime.